The crocodile has the esoteric meaning of an animal of the sea of samsara. It symbolizes primal instincts and the equivalent fores. It can also be seen in depictions of the swadhisthana chakra and is a symbol of the unconscious karmas. Together with a white elefant the crocodile is depicted with a golden crown. 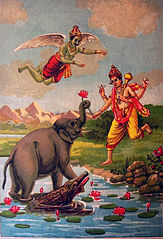 A similar animal is the Makara as vahana of Ganga and Varuna. In egypt mythology was Ammit (Ammut), a monster of the afterlife, a crocodile-faced, lion-bodied, hippo-footed creature that ate the hearts of the failed dead. The god Sobek was depicted as a crocodile or a man with a head of a crocodile. In some egypt creation myths Sobek came out of the waters of chaos to create the world. 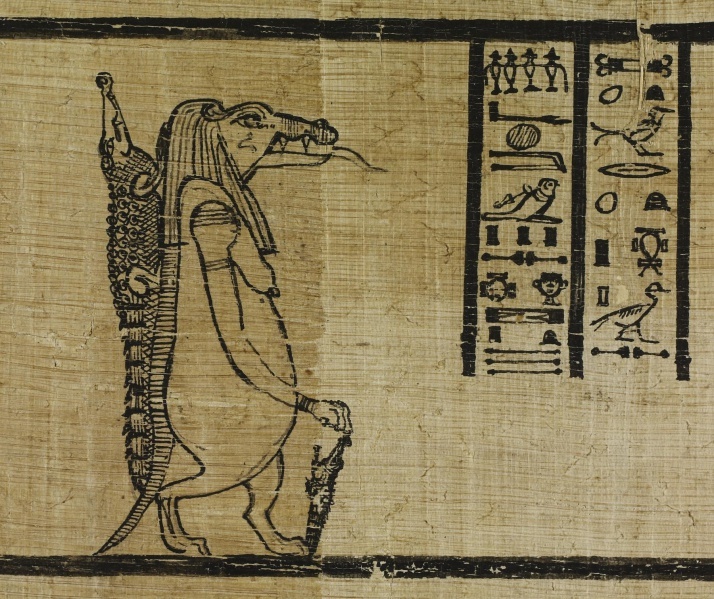 The egypt Fayum had a cult of the higher Sobek-Re with a corcodile at his backside. In the mythology of the mayas Chumu'uk Kab(Middle world) was a crocodile on whose back the vegetation of the earth grew.